I grew up in New York City (and wrote a memoir about it, called Eleven Stories High, Growing up in Stuyvesant Town, 1948—1968.) Now I live with my family part of the year in Western Massachusetts, where I teach at Mount Holyoke College, and part of the year on Cape Cod, which is the setting for Returning to Shore. I have two miniature donkeys and we cart them back and forth in a red trailer. People are always asking me “Why donkeys?” Perhaps it has something to do with Eeyore, or perhaps it’s my Greek heritage. Or maybe it’s just their soulful eyes. Was writing always something you aspired to do? I’ve always wanted to be a writer. On my website, www.corinnedemas.com, you can see a photo of my first novel—at least I thought it was a novel---written at age six in a black composition book. What are a few of your favorite books and did they inspire you in any way? My favorite books include ones that I use in the classes that I teach at Mount Holyoke College. It’s exciting to read a book year after year and keep discovering new things in it. And I’m certainly constantly inspired by what I read. I’m currently teaching a course on the short story, which includes James Joyce’s Dubliners, and collections of short stories by Eudora Welty and Katherine Mansfield. In a seminar called “Daughters” I included two novels that I love, is Elizabeth Bowen’s The Death of the Heart and Elizabeth Strout’s Amy and Isabelle. 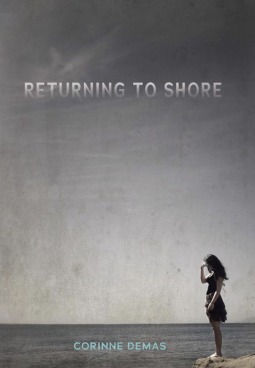 When you were a teenager what would you have thought of Returning to Shore's main character Clare? I imagine that I would have empathized with her and I think I would have wanted to have her as a friend. What is your favorite quote from Returning to Shore and why would you call it your favorite? It’s so hard to choose! I’ll pick a moment towards the end of the novel, when Clare is in the car with her father, and he understands, instinctively, what has happened between her and her so-called friends. I’m interested in the way people come together, and at this place in the novel father and daughter communicate without using words. For more about Returning to Shore check out these sites! This book has been everywhere lately. You asked some great questions, I particularly liked the last one. I'd think it would be nearly impossible for an author to choose a favorite quote from their own book. Cập nhật kết quả xổ số miền nam siêu chuẩn các tỉnh xshcm và xsbl và tỉnh xsag nhanh nhất, chính xác nhất hằng ngày.